Threats to our country have never been more real, nor had more potential to impact large populations of Americans. 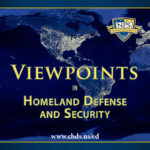 From the homeland defense perspective, some ideology-based groups have the ability and intent to attack the United States in ways that we as a nation have never imagined. As our world grows more complex and unpredictable, our first responders need tools to enable them to operate in this space.